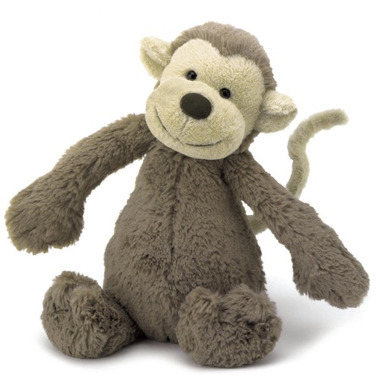 This Jellycat Bashful Monkey makes for a sweet and cuddly new baby gift for boys and girls! Absolutely love this monkey and so does my little one. It's so soft and he loves to snuggle with it. It's easy to hold and he loves tugging on the tail. I would purchase this as a baby gift for someone else for sure. it took a couple of days for waiting for the package, but it worths it. so lovely and cut. 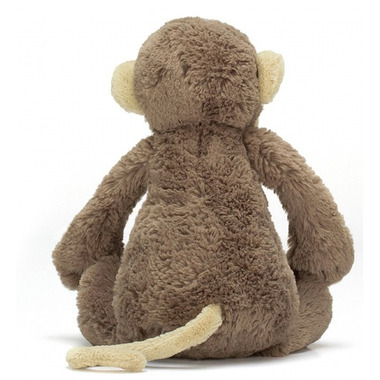 Soft, cuddly and the perfect size for a little one. My son was given his when he was born and he has loved it since then. He's now two and we're on our second one. Love this monkey! These are the softest plush toys I've ever touched! My son loves his Monkey! Very cute, soft and cuddly.